As the #1 Medical Spa in the Woodlands, Radiance Medical Aesthetics and Wellness is recognized as the most technologically advanced medical day spa in the area. Our experienced and nurturing team is committed to ensuring that you look and feel your absolute best through sophisticated aesthetic and wellness treatments ranging from facial plastic surgery consultations to salon services, all delivered while you are in a state of total relaxation. We are proud to be home to Ideal Protein Weight Loss Program in The Woodlands, which offers a medically supervised program customized to help you optimize your weight and improve your health. If you are struggling with exercise-resistant and weight loss-resistant fat, we can help you with our Body Sculpting services, including CoolSculpting® by Zeltiq that freezes fat away, and the new NuEra Tight® for cellulite and skin tightening. In addition to our advanced skin and body care that includes a full range of day spa facials including the popular HydraFacial MD, the new Oxygeneo Super Facial, massage, and body treatments. The Salon at Radiance offers professional hair and nail services. 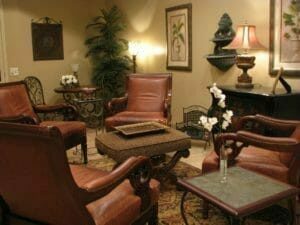 At Radiance Medical Aesthetics and Wellness, discover all your beauty needs in one elegant and well-appointed location. Our spa destination is also available for private events including showers, ladies’ nights out, and corporate groups. Browse our website to learn more about the wide range of cosmetic services we offer to clients in The Woodlands, Houston, Spring, and surrounding areas. It’s time to pamper yourself and indulge all of your beauty needs here at Radiance Medical Aesthetics and Wellness.